Cheap Valentine’s Day ideas don’t have to make you LOOK cheap. 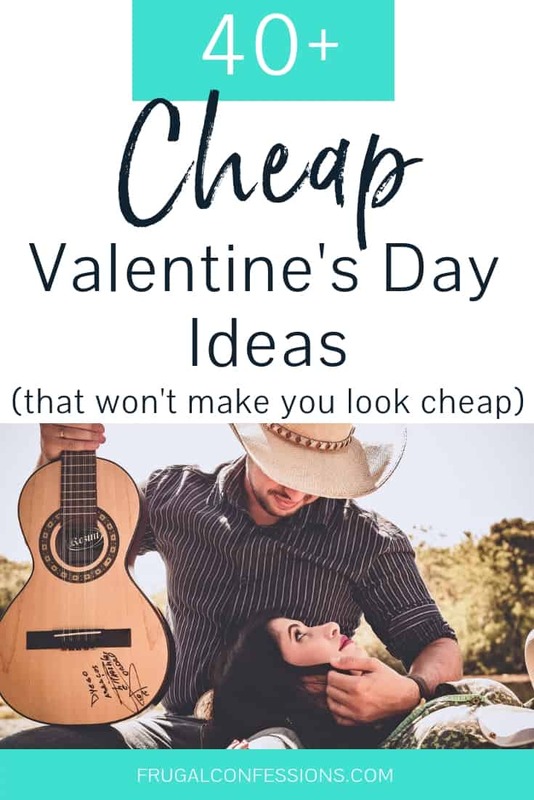 Let me help you do them right, with this list of 40+ free and cheap valentine’s ideas. You’re looking for cheap Valentine’s Day ideas…but you don’t want to look cheap, right? I’m here to help you pull off this Valentine’s Day in style by showing the one you love how much they mean to you (hint: you don’t need a wad of cash to do that). What Can You Do for Free on Valentine’s Day? What are Good Date Ideas for Valentine’s Day? SO, you’re looking for free things to do on Valentine’s Day. Fortunately for you, I’ve got loads of ideas to keep the romantic spark alive without overwhelming your wallet. Plaster their Car in Love Post-It Notes: If you’ve got a mountain of post-it notes, then you’re good to go. Just write one reason, per note, of why you love them (or one thing you like about them). Then, plaster the notes onto their car. Create a Mason Jar of Memories: Go back through scrapbooks, albums, your photos on your smartphone, etc. and write little snippets of memories that have meant something to do you on small pieces of paper. Fold them up, stick them in a mason jar, and present your love with a jar full of moments you’ve shared. Surprise Your Loved One with a Clean House: Paul and I have each surprised one another at different times with a completely clean house (typically we clean together every other week for a few hours after work). Coming home to a clean, organized home is a great feeling. Add in some candlelight, and you’ve got the makings of a beautiful evening. Leave a Lipstick Message on the Mirror: Grab some lipstick or lip gloss and leave a heart, kiss, or message for your beau. Add Love Notes to their Lunches: You could print out free Valentine’s Day lunchbox jokes, or write your own love note. Tuck a love note inside of a lunch you pack for them. Burn a Mixed CD for their Commute: Mixed tapes used to be big when I was around ten. Today you can gather some MP3s from your library of music and create any type of CD you would like. You could leave it out for them with a pretty bow and note, or surprise them on their next commute by leaving it in their CD player. Finish Something You’ve Been Promising to Get to: We have a cabinet door that would not stay closed for the last two years in our kitchen. Talk about annoying! The other day Paul installed a magnet thingy and now it stays closed. I cannot tell you how happy that little act made me! Is there something that you have been promising to complete around your apartment or house? Working on this (and completing it) will show how much you care. Send Poetry Texts: Go to your local library and get out a book of romantic poems. Throughout the day, send a line or two of a romantic poem you have chosen. If nothing else, it will leave your partner guessing! This could be over email, through text, over voicemail, etc. Meet at Home or your Significant Other’s Office for a Homemade Lunch: Depending on your work situation and location to home/spouse’s office, wouldn’t it be fun to meet up and eat a homemade lunch together? When Paul and I lived in our apartment we were both ten minutes away from home so we would meet up to eat lunch every so often at our own table. It wasn’t much time together, but it made the day a bit more special. Wake Up Early and Cook a Hot Breakfast During the Week: I don’t know about your household, but in ours we only cook hot breakfasts on the weekends. Waking up extra early and making a weekday feel more like a Saturday with eggs, bacon, French toast, or whatever you like to eat (*actually* use that waffle maker!) would certainly show your loved one how much you care. Give a Home Pedicure: Many people love having their feet pampered. You will need a container big enough to fit both feet (filled with hot water), a towel to place around it, and the rest is up to you and your home supplies. You can make an easy homemade sugar scrub to exfoliate with just sugar and oil. Here are some other great tips on how to liven up your home pedicure. Use Some Homemade Chocolate Body Paint: Try out Chef Curtis Stone’s recipe, or this recipe for chocolate body paint. Grab a soft brush from the craft store…and have fun. Pssst: You might want to check out the 5 Languages of Love List for some more ideas! We’ve already covered lots of at-home date night ideas for Valentine’s Day, so now it’s time to look at out-on-the-town date ideas. Gym Date: Do you have a gym membership where they have free babysitting? Head to the gym with one another, drop off the little one, and get 1 hour (or however long your gym allows) of alone time. (Hint: our gym is in a community center with a café, so we sometimes do this and hang out at the café for a 90-minute mini-date). Date, Bachelor Style: You know how on the show, The Bachelor, they do the hometown dates? You can set one of these up for your love as well. You’ll learn so much about each other! Go Out for Cheesecake: You can skip going out for dinner, and either meet up at The Cheesecake Factory or the Chocolate Bar for a slice of cheesecake (we love doing this!). Play a Game of Questions at the Coffee Shop: I absolutely love sets of questions for couples to ask each other. They spark conversations, they help you engage with each other (without a television), and you learn something new. Here’s TableTopic’s Couples questions, and a free printable set of couple’s questions. Star Gazing: You can either use PBS.org's Your Sky Tonight, or the Night Sky Network to take a look at the night sky online before heading outside (or snuggling up inside if it is freezing) and gazing into the sky. Cook Together: Choose a new dish to try out in the kitchen. Turn on some music, divide up the work, and just enjoy being together at a leisurely pace. Play a Round of Questions at the Coffee Shop: You’ve got four people, so it’s a great time to not only get to know the other couple better, but to get to know your own beau better. Here’s the free Not-So-Newlywed Game (you’ll want to get it laminated at the office store after printing it out). Or you could try TableTopics conversation starters for groups. Play a Round of Battle of the Sexes: You can do this free group game from wherever. Go to the Grocery Store: You can play a free round of The Price is Right with your double date. Compete in The Amazing Race: All meet up at someone’s house, then compete against the other couple in The Amazing Race (free printables). Attend Trivia Night at a Local Pub: These are ultra-fun, especially in group settings! Snag a Groupon Deal for a Real Experience: You can find some awesome, trendy, first date night experiences, such as Escape Rooms, winery tours, axe throwing, cooking classes…the sky’s the limit. Did I mention you’ll routinely find these deals at 50% off (so they’re actually affordable)? Go to a Trivia Night: Lots of local pubs have free trivia nights. These can be really fun, and spark both great conversations + camaraderie! Drive to the Ocean and Take a Walk at the Beach: Yes – wintertime walks along the surf can be invigorating! Bring a kite, and you’ll have a reason to stay out in the cold a few minutes longer. Volunteer Together: If you know your date is into this sort of thing, then set up a volunteer date at your local animal shelter, church, or any other organization that needs help. Check Out a Tea House: This isn’t a full-blown dinner or lunch, so you’ll save money. Plus the atmosphere is usually quite delightful. Set-Up S’mores and an Outdoor Fire: Let your parents help you set up the fire pit in the backyard, with some big outdoor pillows and s’mores. 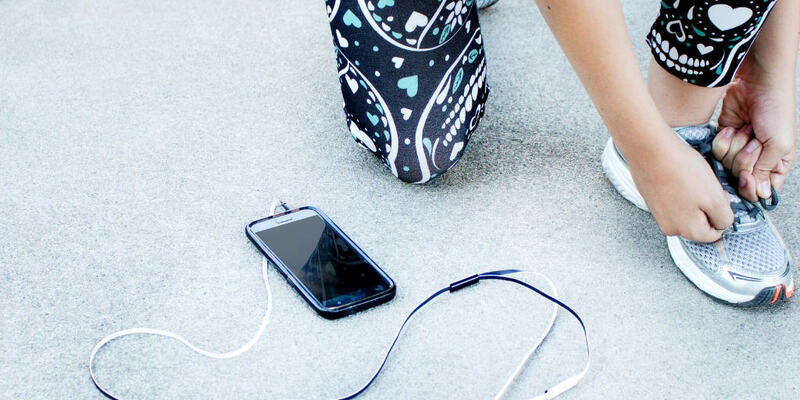 You can play your favorite songs on your phone. Compete in a Round of Iron Chef in Your Parent’s Kitchen (Group Teen Date Night): Have your parents drop you off at the grocery store to pick up all the supplies needed. Get your free printables here, and have them printed out. Attend a Church Youth Program Event: I don’t know about your church, but ours has awesome youth programs that would be perfect for a teen couple to use as date night. Make Homemade Pizza + Watch a Movie: Gather a few homemade pizza recipes you can make together in someone’s kitchen, and then declare the family room/basement/play room tv yours for the night. Make Roses from Hershey Kisses: This is a neat craft idea that looks pretty simple…and is definitely cheaper than a dozen roses. Do not underestimate the power of a homemade Valentine’s Day gift – if you put your time and energy into something, your loved one will notice. Create Love Coupons: There are tons of love coupon templates out there, or love coupons you can just print off and assemble. Print Out this 52-Deck of Date Ideas: Show your love that you’re planning ahead beautiful dates you both get to go on the rest of the year with this free 52-deck of date ideas. Go to your local office store ahead of time, and print it out/put it together. Voila! Create a Marriage Binder: My husband and I took a few, free marriage classes together over the last few years, and WOW, did we enjoy them (plus they made a huge difference!). Why not take the time to buy a beautiful new binder, print out the printables for a free online marriage course (you’ll need two sets for some of these so that you can both fill them out), and dedicate the time with your spouse to go through everything? Again, this shows an incredible commitment and love towards your significant other. Here’s a 10-day free mini-course, free weekly marriage planners, free date night intervention printables, free couple’s therapy worksheets, free couple’s workbook, etc. Create a Magnetic Love Message: Grab a set of magnetic poetry (you might have an old way laying around! ), and leave a love message or poem for your beau on their mirror. My husband and I often celebrate Valentine’s Day at home – especially now that there are three of us. Let me share with you some of my favorite ideas for turning your home into a den of romance for the day. Do a Couple’s Yoga Video: There are free couple’s yoga videos all over Youtube – here’s a beginner’s one. Flamingo them…with Love: You know how people put a bunch of pink flamingos in other people’s yards? Do this, but with whatever materials you can find. Check out your dollar store, and see if you can find a bunch of gnomes, or a bunch of hearts, or anything, really, and spread them out in the back or front yard. What a surprise for Valentine’s Day morning! Play a Couple’s Game: Here’s the free Heads Up Spouse game you can print out. You’ll also want to check out the free Pictionary Game for couples. Give a Deluxe Home Massage: Offering a massage is always appreciated, but you can also add some glam to it and show your loved one how much thought you have put into them. First off, brush up on your massage skills with some free instruction. Then, find a comfortable and warm part of your home (increase the heat, use a space heater, or light a fire if need be). If you have some smooth pebbles (check out your landscaping), you can give a hot stone massage. Use oils on hand (baby oil, olive oil, sunflower oil, vegetable oil) to make your own massage oil. Warm up the oil/lotion, towels, etc. to create a very relaxing atmosphere. Light a few candles and enjoy! Do a Chocolate Tasting: When our little guy was an infant, I set up an at-home chocolate tasting date (free printables here). It was so fun for he and I to go to the grocery store luxe chocolate area and pick out 5-7 chocolate bars of all different varieties. Then after he went to sleep that night, my husband and I got to experience something together! Set-up a Scavenger Hunt: This past Easter Paul and I were supposed to go to PA for a baby shower I was hosting and to visit my family together. Last minute his company nixed our plans, and I ended up going alone. I wanted to show Paul how much I cared about him, so I made an Easter Egg Hunt around the house that began with an envelope he was not allowed to open until Easter morning. He was surprised and excited! You can do the same on Valentine’s Day, but hide hearts or little messages instead. Set Up a Fireplace Scene: You can light the fireplace (after the kids go to bed is great), lay down a blanket in front of it, and have some glasses of wine ready for just the two of you. Bust Out the Fondue Pot: Fondue is such an engaging and unique way to experience dinner that it’ll feel like a date. You can go traditional swiss fondue, or chocolate fondue for dessert (and anything in between). Anyone who has experienced dessert at a fondue restaurant quickly realizes that you can dip just about anything in chocolate: strawberries, rice krispy treats, marshmallows, bananas, pretzels, cheesecake, pound cake, etc. You don’t even need a fondue set; simply make a tray of dippable, cut-up foods, and make a fondue chocolate recipe in a pot over the stove. When you are ready to begin eating, take it off the stove and place it on top of an oven mitt or something that is insulated to help keep it melted (you may need to reheat depending on how long it takes you to gobble down the goodies). Read to One Another: Reading to one another is a very calming, soothing experience. You can choose a children’s book, the bible, Harry Potter, poetry—the sky is the limit. 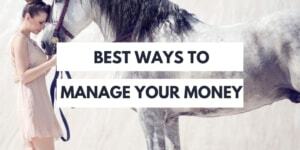 Love this list not only because they are frugal ideas, but because they are unique!! Great ideas. I’ll be posting this link on my link love on Friday. Thank you–I had a lot of fun thinking them up. I hope your little one gets better! All good ideas! 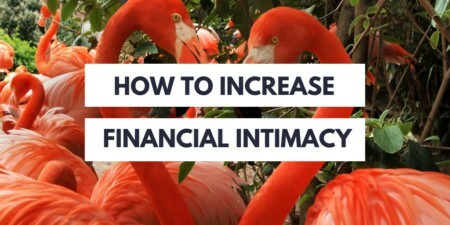 The reason for Valentine’s Day is to acknowledge your mate versus spending a lot of money. 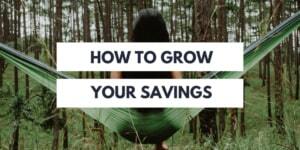 Love the tips and thanks for linking over to my post. Sounds like a plan–and very interesting idea from Rachel Ray! Thanks for sharing. motive, and that is also happenhing with this post which I am reading at this place. You need to be a part of a contest ffor one of the finest sites on the web.